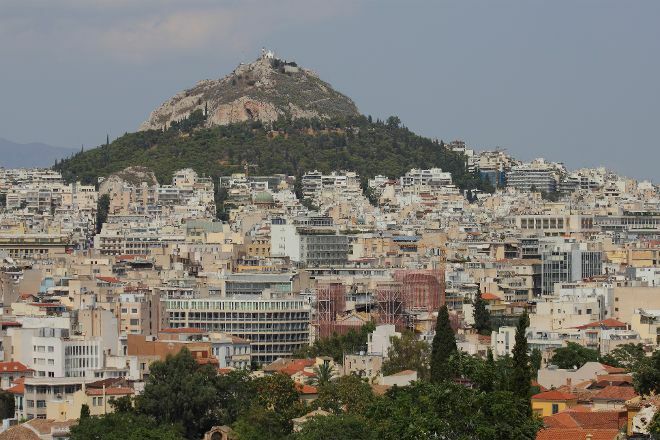 Local legend claims wild wolves used to seek refuge on Mount Lycabettus, a tall hill noted for offering unbeatable views of Athens. 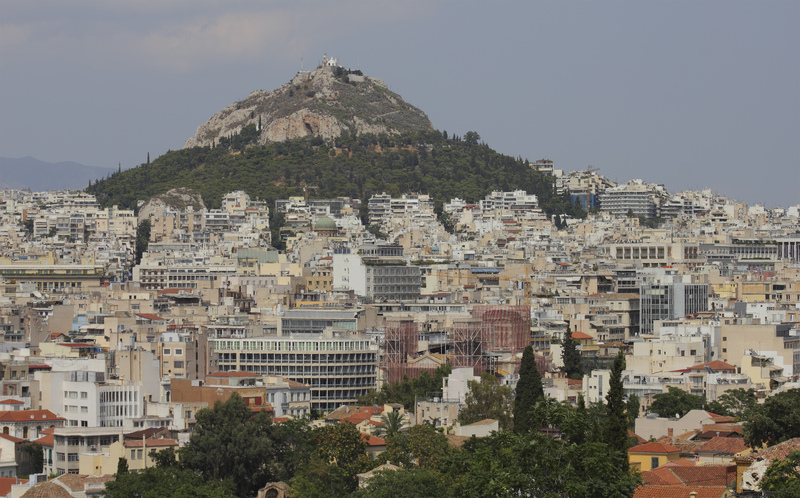 Tradition has it that Athena, the goddess of wisdom, created this hill when she accidentally dropped a mountain she had intended for the construction of the city's famed citadel. You can access this "hill walked by wolves," as its name roughly translates, by a funicular railway departing from a station in the central part of the city. The hill rises to 277 m (908 ft) above sea level, its peak featuring a 19th century chapel, theater, and restaurant. Pick a sunny day for your visit if possible, and don't forget your camera. To visit Mount Lycabettus and get the most from your holiday in Athens, create itinerary details personal to you using our Athens road trip website . The most stunning views over Athens both day and night. The place also has two restaurants to choose from. This is a must if you go to to Athens. A gondola ride up is an experience and you can take the 20 minute walk back down the winding paths with breath taking views. My friends promised this would be a great experience. They lied. I was promised a gondola ride up. They lied. I was promised lunch at the top. They changed their mind. This was my hades. I was walking up the "Alps" and although it was a nice view, the heat and the sun pounding on my skin caused me to lose my joy in life. This walk was long enough for me to start asking lifes biggest questions. Why am I alive? What is the purpose of life? I thought 'maybe I should switch it up and walk backwards?' so i did. That was until i felt about 6 cactus needles penetrate the back of my leg. . . . . . WHY ME?! A lady surpassed me with her 2 young kids and smiled back at me with an encouraging look. Finally after 40 mins of a 15 minute walk (my sister did not wait for me) i reached the top and looked out at the view. Okay it was beautiful. That same lady walked by me and said "wasn't it worth it?" I still wish i pushed her over the edge.